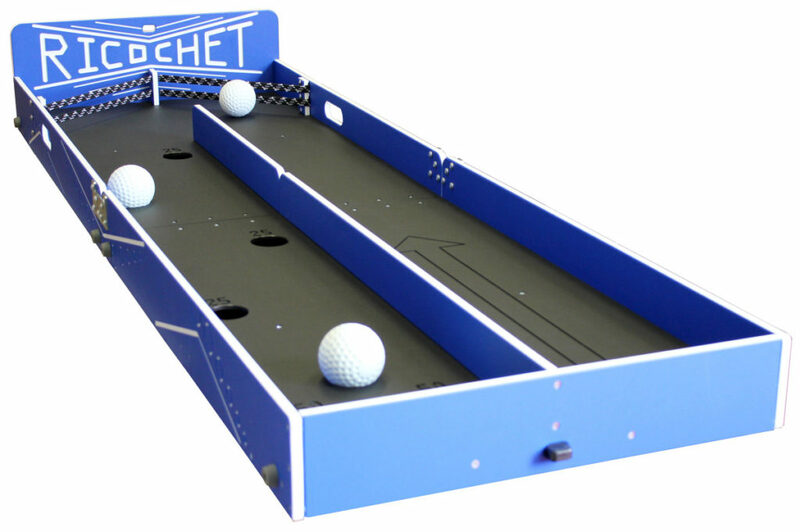 Roll the ball down the alley, ricochet it off the bungee cord and land in one of the holes on the other side. How high can you score with three tries? Fits on a 6′ table. Add one for $20.